The PitStop Implant is made of PEEK. 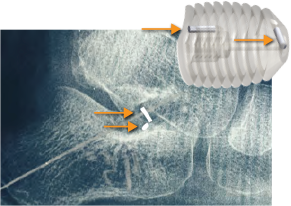 This biocompatible and inert polymer is flexible, which allows for placement in the sinus tarsi with better load distribution on bone surfaces versus stiffer materials such as titanium and stainless steel. 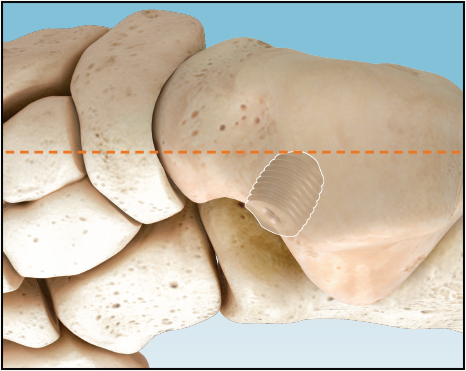 The PitStop Subtalar Implant facilitates the correction of pes plano valgus deformities. Lock-in flanges, (small blades) are designed to provide primary stability in the sinus tarsi. 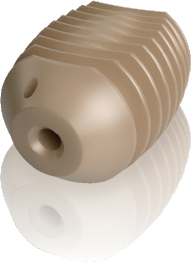 The anatomical shape with the two symmetrical and flattened sides are designed to reduce the compressive constraints and to improve distribution of stress. This may help to decrease incidence of reactive synovitis and improve patient tolerance. 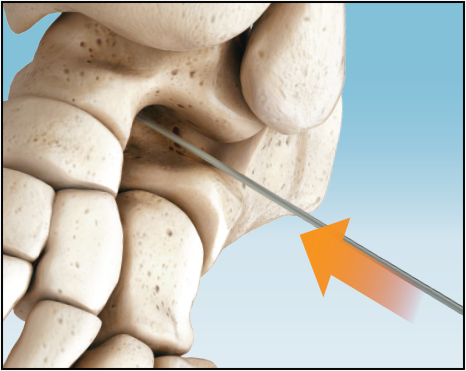 The PitStop is cannulated to facilitate and secure accurate positioning of the implant over a guide wire. 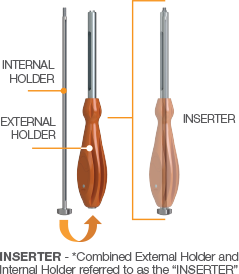 The easy keyed insertion device allows for a tight assembly between the implant and the instrument. 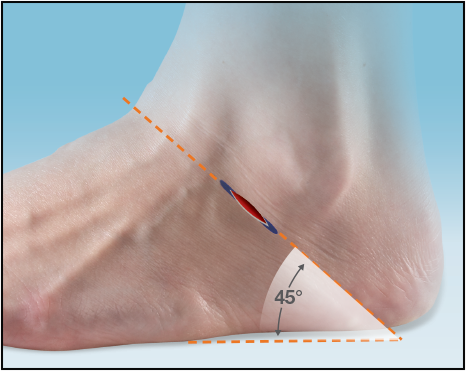 A 1-3 cm incision is made on the lateral side of the foot in the skin overlying the sinus tarsi. Blunt dissection with a hemostat to level of joint capsule. 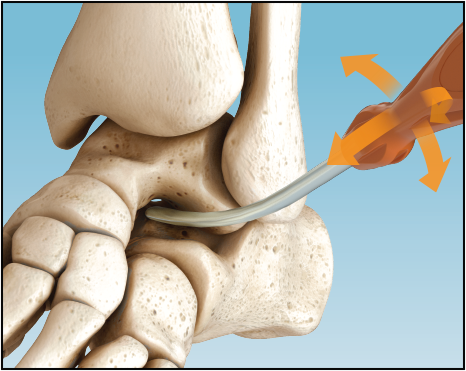 Once the talus is positioned on the calcaneus, the 1.6mm Guide-wire is introduced into the axis of the sinus tarsi until the wire is felt on the medial aspect of the hindfoot. Accurate placement may be confirmed with fluoroscopy. Insert the Internal Holder through the base of the External Holder Fig. A. Fig. 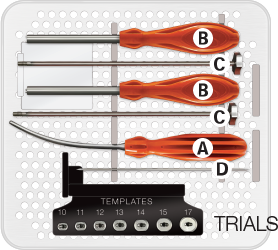 B Then attach the Trial Implant to the end of the External Holder by aligning the pins of the Holder to the holes of the Trial Implant. The flat sides of the Trial Implant and the Inserter handle are aligned. Fig. C Next screw the Internal Holder through the External Holder into the Trial Implant and tighten. The Trial Implant is removed leaving the Guide-wire in place. 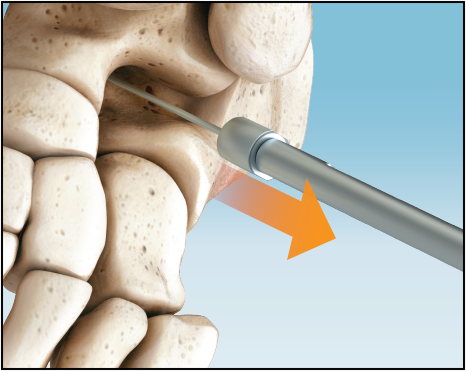 As with the trial, theImplant is fixed to the External Holder Fig. D.
Fig. 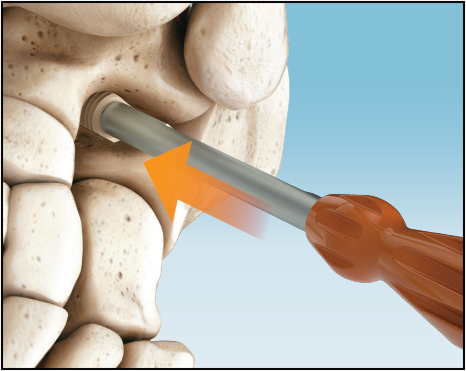 E Then tightened onto the Internal Holder by turning the bottom knob to engage the Implant. 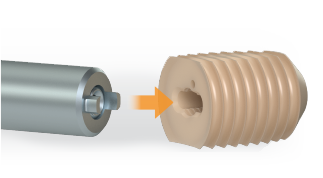 The Inserter is used to “press fit” the Implant in the correct position with a pushing motion. 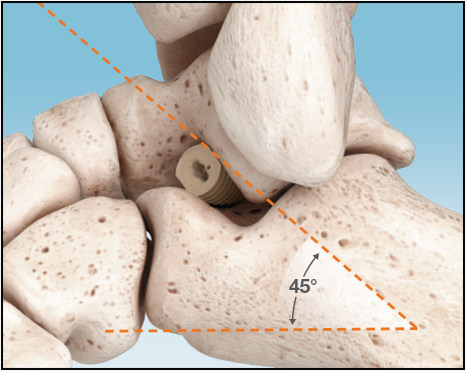 “Do not screw Implant into place.” X-ray markers at each end of the Implant help achieve the adequate depth with fluoroscopy visualization. 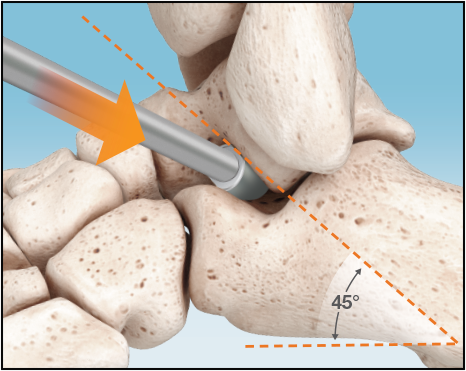 The corresponding flat surfaces of the Implant and Inserter handle are aligned parallel to the lateral talar process which is an approximate 45° angle to the fibula and the plantar aspect of the foot on the lateral view. 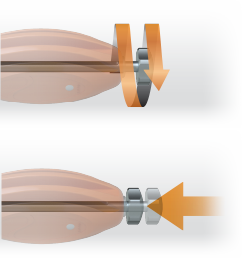 Unscrew the Internal Holder to release the Implant and push with finger pressure to remove the Holder from the Implant. 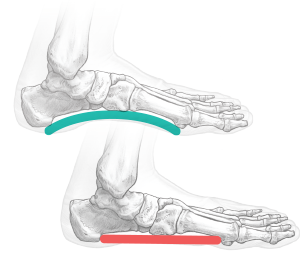 Hind-foot mobility is assessed to verify adequate correction. The wound should be closed according to surgeon preference.